I've heard that because of our cold start to Spring, locals gardeners are feeling a bit anxious to get started. Surely things will soon warm up and people will be able to get their seedlings in the ground....right? Hopefully this photo will provide a little bit of inspiration, and remind us that the wait will be worthwhile. 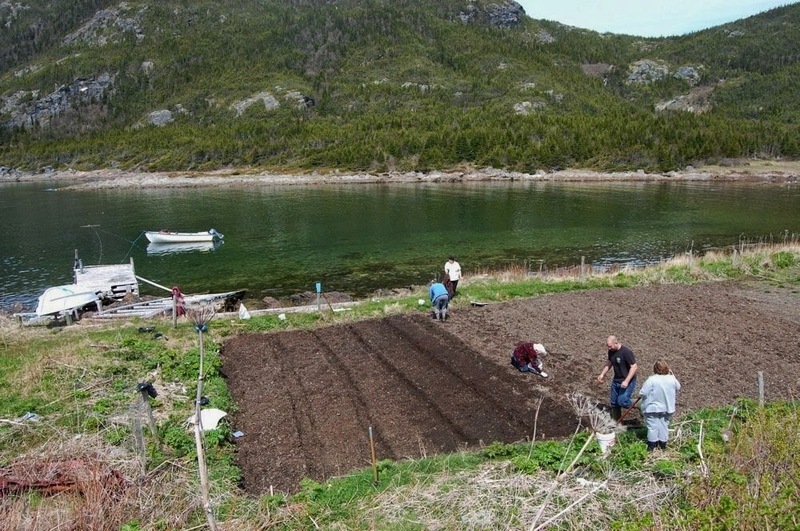 Taken in Conche on the Northern Peninsula in Spring 2010, a family works together to dig potato trenches, getting the ground ready for planting. This waterfront garden plot is one that this family has been using for decades. Its location near the ocean ensures that it gets optimal exposure to sunlight, is easily accessed by boat, and can easily access kelp, which is an effective soil fertilizer.